Welcome to the first episode of AEM Education and Training, a podcast collaboration between the Academic Emergency Medicine E&T Journal and Brown Emergency Medicine. Each quarter, we'll give you digital open access to an AEM E&T Article or Article in Press, with an author interview podcast and links to curated supportive educational materials for EM learners and medical educators. Find previous AEM Early Access podcasts and suscribe to this series on iTunes here. Emergency Medicine Morbidity and Mortality Conference and Culture of Safety: The Resident Perspective. Kathleen Wittels MD, Emily Aaronson MD et al. AEM Education and Training 2017;1:191–199. 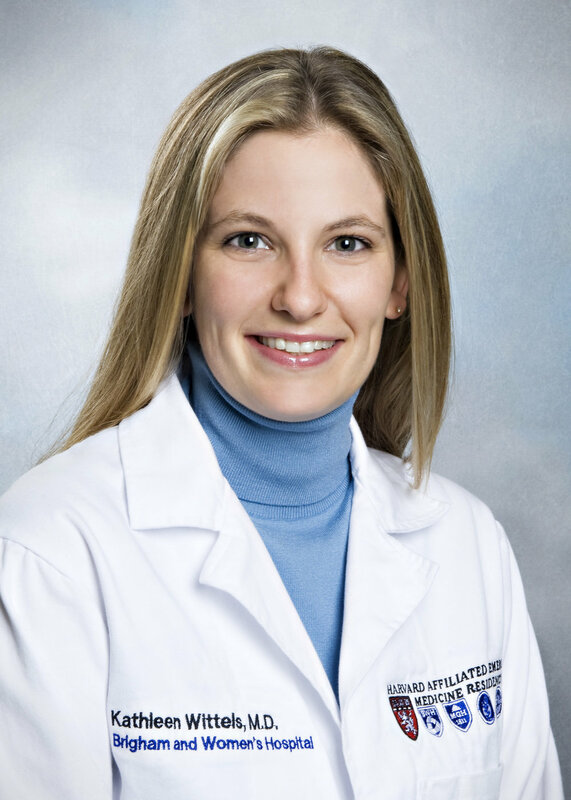 LISTEN NOW: Lead Author Interview with Dr. Kathleen Wittels, M.D. We discuss the evolution of Morbidity and Mortality Conference from its tradition of "blame and shame" to its current ideal role in emergency medicine training and a culture of safety. Dr. Wittels and her colleagues previously published data on residency program directors' perceptions of M&M at their programs -- but what do residents think? OBJECTIVE: Morbidity and mortality conference (M&M) is an Accreditation Council for Graduate Medical Education (ACGME) requirement for emergency medicine residents. This study aimed to survey the attitudes of EM residents towards M&M conference and to characterize the prevalence of elements of EM M&M conferences that foster a strong "culture of safety". METHODS: Emergency medicine residents at 33 programs across the United States were surveyed using questions adapted from a previously tested survey of EM program directors and the Agency for Healthcare Research and Quality (AHRQ) Culture of Safety Survey. RESULTS: The survey response rate was 80.3% (1,002/1,248). A total of 60.3% (601/997) of residents had not submitted a case of theirs to M&M in the past year. A total of 7.6% (73/954) reported that issues raised at M&M always led to change while 88.3% (842/954) reported that they sometimes did and 4.1% (39/954) reported that they never did. A total of 56.2% (536/954) responded that changes made due to M&M were reported back to the residents. Of residents who had cases presented at M&M, 24.2% (130/538) responded that there was regular debriefing, 65.2% (351/538) responded that there was not, and 10.6% (57/578) were unsure. A total of 10.2% (101/988) of respondents agreed that M&M was punitive, 17.4% were neutral (172/988), and 72.4% (715/988) disagreed. A total of 18.0% (178/987) of residents agreed that they felt pressure to order unnecessary tests because of M&M, 22.3% (220/987) were neutral, and 59.6% (589/987) disagreed. A total of 87.4% (862/986) felt that M&M was a valuable educational didactic session, and 78.3% (766/978) believed that M&M contributes to a culture of safety in their institution. CONCLUSIONS: While most residents believe that M&M is a valuable didactic session and contributes to institutional culture of safety, there are opportunities to improve by communicating changes made in response to M&M, debriefing residents who have had cases presented, and taking steps to make M&M not feel punitive to some residents. To Err is Human: Building a Safer Health System. Institute of Medicine (US) Committee on Quality of Health Care in America; Kohn LT, Corrigan JM, Donaldson MS, editors. Washington (DC): National Academies Press (US); 2000. Morbidity and Mortality Conference in Emergency Medicine Residencies and the Culture of Safety. Emily L Aronson, MD, Kathleen Wittels, MD, et al. West J Emerg Med. 2015 Nov; 16(6): 810–817.